The refrain keeps running through my head. What do they call it, an "ear worm"? Having spent many years in "show biz", albeit at the community theatre level, I can attest to the fact that "another opening", while an exciting prospect is also daunting. Will this be a hit or, perish the thought, a "turkey"? 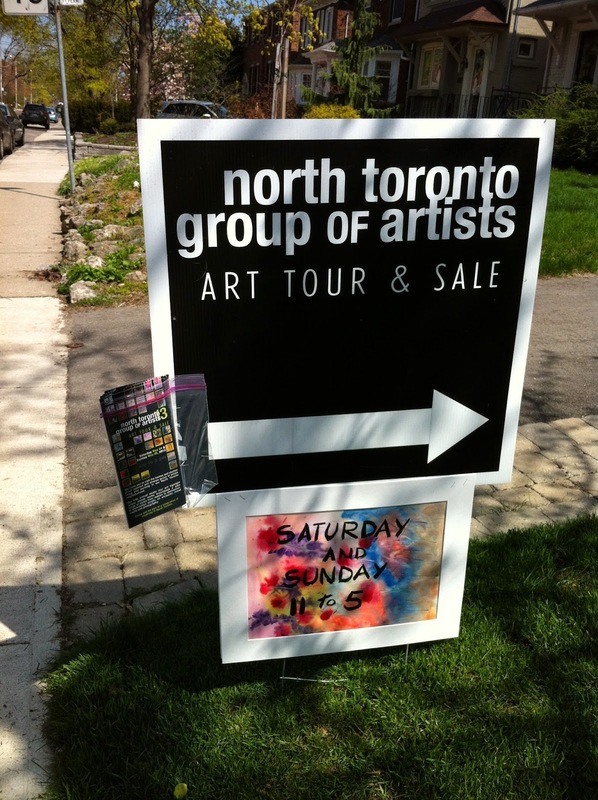 May 3, 2014, will see the first major show of the year for many of us who belong to the North Toronto Group of Artists. While I and others have already shown ones and twos of our works in static gallery shows, and some adventurous artists in solo or small group gallery shows, this is the first show of the season where we get to show as much of our work as we can cram onto grids, walls, couches, easels in the backyard, wherever, at our own homes. Studio Tour 2013 - just a part! 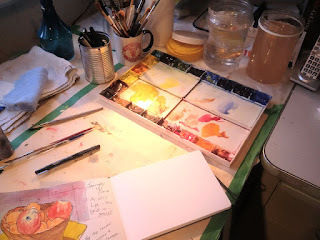 The 6th Annual Studio Tour and Sale sees 18 local artists (they must reside within specific boundaries in North Toronto) at 15 different home locations. Huge amounts of planning have gone into this event. Local store owners on Avenue Road and Yonge Street have been coerced into displaying art and posters in their windows. Other venues have hung multiple works for the month of April. 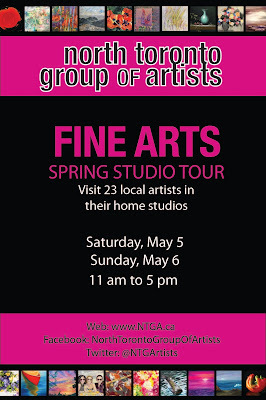 Members designed professional brochures with information on each artist, complete with a location map. Sponsors bought ads to support the printing costs. Exhibiting artists each pay a small fee to enter the event, and each one contributes work hours towards ensuring success. 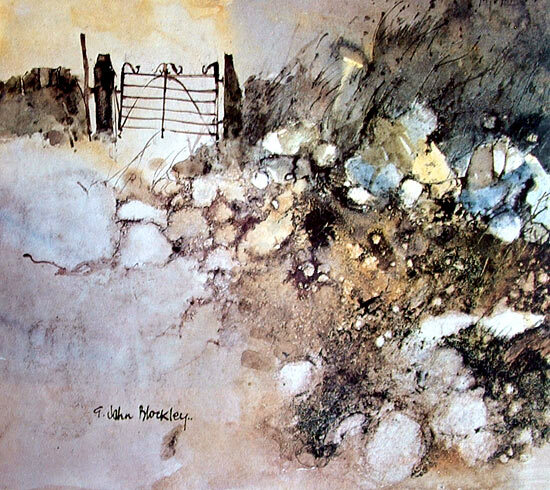 The event rules ensure that only Fine Art of professional quality is shown. 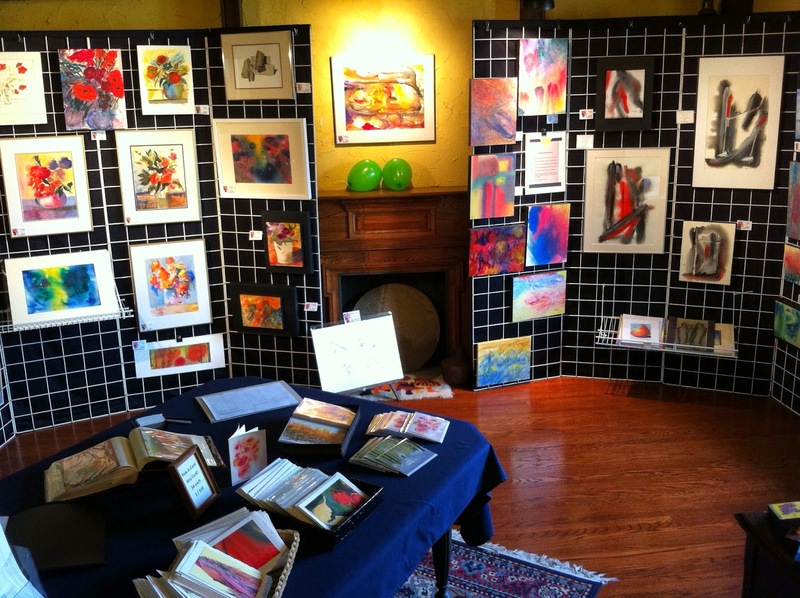 In fact, artists' work is actually juried before they are invited to participate.As a result, the event has become a widely-known "go-to" for discriminating art buyers. So then, on with the show! Watch out for the signs and the green balloons. Also visit 150 and 26 Cranbrooke!